Digitize and Organize your Photos - at home! Do you have boxes of loose photos taking up space in a closet or shelf? Recently a friend of mine asked for help to reduce the amount of photos she had. We brainstormed some options, and developed a plan. The Wolverine Photo Digitizer is available on Amazon for about $62. I got this product in the hopes that I could reduce the number of paper photos I had to store. They are nice memories and ones I don't want to lose but not photos really worthy of a book. I thought if I could digitize them, I could let go of the paper copy, free some space, and still have the digital copy available to me. You can see in the photo (right), you get the digitizer (approx 9"x9" and very lightweight), 3 photo size brackets, and a lint-free cloth. Not shown is the instruction book. They don't provide an SD card but the device can store up to 35-40 images without a card. It's simple to use and the process goes very quickly. I digitized over 1,000 photos in two sessions. Make sure you have a comfortable place to work that will be easy on your back. It's important to take breaks and stretch as well, because it's easy to get into a groove and just keep going without realizing what you're doing to your back. Getting started: It's a good idea, if you have quite a few images to digitize, to separate them out by size. I had a variety of 3x5, 4x6, 5x7, and wallet sized photos. 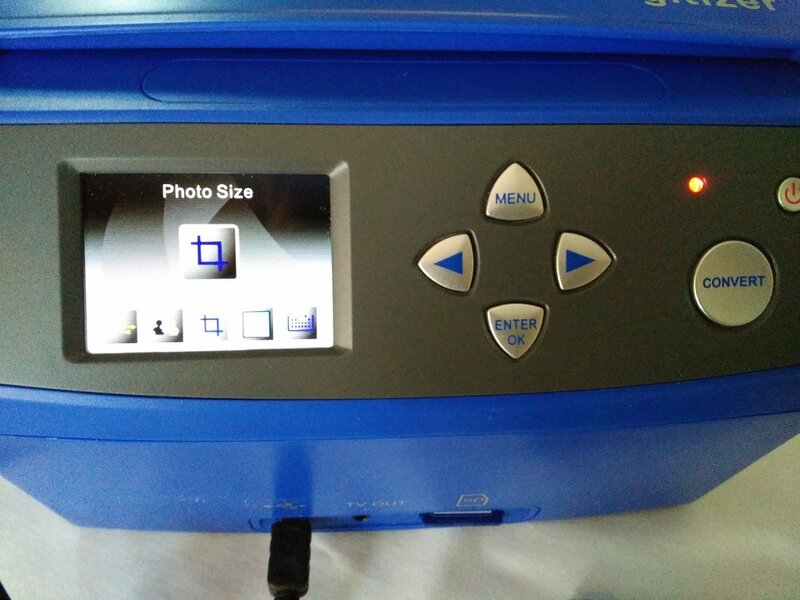 Digitize: Once you're ready to begin, insert your SD card then turn the machine on. Press the menu button until you see this symbol. Hit Enter, then arrow to the right or left to get to the size photo you want to digitize. Hit Enter to select it. I've started with the 5x7 photo. 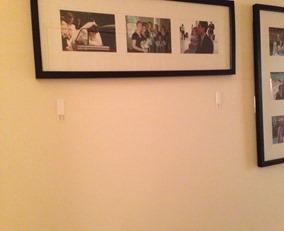 Place the photo size bracket into the upper left corner into the slots, and align your photo into that bracket corner. Close the lid and press Convert, then Enter. It takes approx 5-8 seconds for the photo to be digitized. You can see the "progress wheel" turning on the screen. Repeat that process for the 4x6 photo making sure to change out the photo size bracket and to change the photo size in the menu. And repeat the process once again for the 3x5 photo again making sure to change to the 3x5 photo size bracket and change the photo size in the menu. Hints: I highly recommend you use an SD card for this if you have more than 35-40 photos to convert. There's a slot for it right in the front of the machine. Also, they really mean it when they recommend you clean the glass often. I have many photos with dust particles on them from not cleaning the glass often enough. Final Assessment: Overall, I'm pleased with the Wolverine Photo Digitizer. The quality of the digitized photos varied. Some were not as clear as the original, or the lighting was different, or they just looked like well done photos of the photos. For my purposes, to have a digital back-up of paper photos that don't require great quality, it worked really well. If I wanted a good quality digital copy of a special photo, I would still take it to a shop that specializes in that. Here's the second post in my Preserving Treasures series…I'm pleased to have our guest blogger, Gabriela Burgman, a trained archivist and professional organizer, back to share her tips for preserving special photos. In the summer of 1999, I had the wonderful opportunity to work in the photograph archives at the San Diego Historical Society. My duties included describing, dating, and preserving postcards and photograph collections gathered from businesses and families that had lived in San Diego for the past 100 years. As I handled hundreds of unidentified images and photos that were disintegrating from poor storage, I realized that we, as archivists, needed to teach the public about organizing their photos so that when we received them as donations several generations in the future, their value would not be lost. So I am here today to give you a quick lesson on photo preservation. Why are photos so sensitive? Print photographs are made up of many layers that come together to form the image. Since photos are more complicated than pieces of paper, they tend to need a little more TLC if you want them to last more than a few years. There are three main things to think about if you want your photos to be around to show the grandkids (especially the really embarrassing photos of their parents). 1. Treat your photos like a living thing. Photos are sensitive to heat, light, humidity, and even air pollution. All of these things can fade, warp, scratch, melt, and disintegrate your photos. So how do you keep them in good health? Store them in conditions that humans like to hang out in: low humidity, steady in temperature (a bit on the cool side), absent of rodents and insects, and in an atmosphere low in pollution - no smoke, no cleaning solvents, and no paints or varnishes (this includes newly painted rooms or furniture). Don't store your photos in your attic, basement, garage, or "beneath or in close proximity to water sources like washing machines, bathrooms, or air-conditioning equipment. Be sure to consider what is in the room above your collections." Also avoid storing near fireplaces, radiators, or heating vents. Do keep photos out of direct sunlight and away from unprotected fluorescent lighting. Do keep the area where you store your photos clean. If you ever want to see a demo of what can happen to your treasured objects depending on what room you store them in, visit the Image Permanence Institute website. 2. Store your photos like prized possessions. Now that I've impressed upon you how delicate photos are, let me show you great ways to preserve and organize your images. Don’t stuff your photos tightly into drawers, files, envelopes, or plastic containers. When you compact the images they have a greater chance of sticking to each other. But don't go to the extreme and store your photos too loosely in an oversized container. When you do that, they tend to slump, curl, or even bend from being jostled around. 1) Paper or plastic? Ideally, photos are stored in either a paper envelope or a plastic enclosure. Deciding which one to use will depend on how many times you will look at the photo, the state of the print (is the emulsion flaking off?) and how big the photograph is. If you are going to look at your photos often, use clear plastic enclosures made of polyethylene, polypropylene, spun-bonded polyolefins, or polystyrene (avoid anything frosted, made of polyvinyl chloride (PVC), or glassine). Look for enclosures noted to be “PAT.” This means they’ve passed the Photographic Activity Test (PAT) and will not react with your photos. If your photograph is flaking, is glued to an acidic board, or just needs more support, you can store them in buffered paper envelopes (unless your photo is a cyanotype). Store photographs larger than an 8x10 horizontally in special folders. The same rules pretty much apply to your negatives. You can store them in plastic unless they are larger than 4 x 5 or are nitrate negatives. Then you need to store the negatives in paper envelopes. If you prefer to put your photos directly in albums, make sure the pages are also made of the appropriate plastic and that any paper used is non-acidic. Do not use albums with "magnetic" pages, black paper pages, or ones made with vinyl. 2) Box or album? After your photos and negatives are in their proper first enclosures, now you can do one of two things: store them in boxes or put them in albums. Boxes: Try to store your photos vertically, supported within the box so they don’t slouch over. Make sure the box is the appropriate size; use shoe boxes for 3x5 or 4x6 photographs, and document boxes for folders. 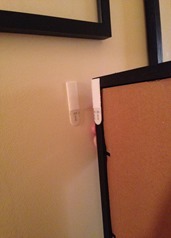 Your oversized prints should be put into flat boxes and stored horizontally (never vertically). Several companies which sell archive materials also offer photograph Box kits that you can purchase, including Archival Methods, Hollinger Metal Edge, and Light Impressions. Albums: If you chose to put your photographs in albums, make sure to buy both the inserts and covers from reputable dealers. If you decide to save your photographs in the form of scrapbooks, I highly suggest you visit the Scrapbook Preservation Society to find out how you can preserve all the hard work you’ve put into making these family heirlooms. I recognize that you can’t put your entire photograph collection into museum preservation order. At minimum, you really should group photos together in small stacks (say 36) and put into buffered folders or envelopes (as shown in this kit sold by Light Impressions). If you are going to try to label your photos, do not use ink or felt-tip pens. You can either write lightly using a soft lead pencil or purchase a special blue photo marking pencil. I hope you find it useful to preserve your most special photos for years to come! Gabriela Burgman, owner of Claiming Space, holds a BA from Mount Holyoke College and a Masters Degree in Information Science from the University of Michigan. She has worked in colleges and universities for six years as an archivist and a records manager, assisting academic offices, administrators, and retiring academics sort through their files for preservation or disposal.